Project Runway winner and Trinidad & Tobago born designer, Anya Ayoung-Chee will be "LOCKIN DOWN THE AVENUE WITH MACHEL & 5STAR AKIL!" Tune in for a mix of FASHION, CARNIVAL AND SOCA. "My first independent showing of my line EVER! 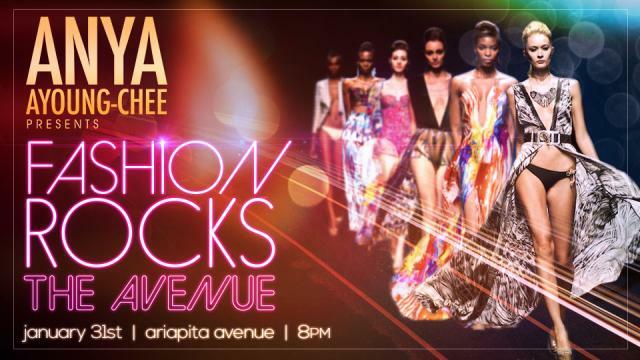 My first show in the Caribbean since winning Project Runway! " - Anya posted. Missed the show? See the PICTURES HERE.